You must have heard the famous saying “Interest on debts grow without rain”. How true this saying is. Some debts are fun while acquiring them, but not while retiring them. You must have heard of the famous debt trap. You just cannot control your spending. You spend more than you earn. You borrow money to meet this need for spending. Soon you are in debt. You cannot repay the interest on your loans…Never mind the loan itself. You have fallen into the famous debt trap. 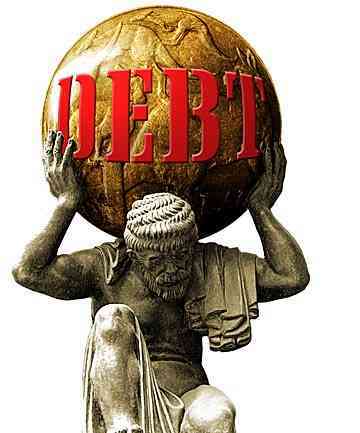 So how do you reduce your debt burden? You might have availed a car loan, home loan or even a personal loan. You have exorbitant credit card debt. You just have to reduce your debt. So which loans must you repay first? You must get rid of your credit card debt and pay off the EMI’s on your personal loan as fast as possible. A personal loan and a credit card are unsecured debt. You do not have to give any collateral while availing a personal loan or for borrowing on a credit card. This debt being unsecured, you are charged a very high rate of interest. A credit card charges you interest as high as 30% to 36% a year. A personal loan might charge you an interest of around 14% to 17% a year. Now you know why you must repay your personal loans and pay off credit card debt. Must you stop paying the EMI’s on your car loan and home loan? Definitely not. You must be regular in paying the EMI’s on your car loan and home loan as well. Simple: You must concentrate on paying off the loans which have the highest interest and also not neglect paying the EMI’s on other loans you have availed. Has Your salary Gone Up? Your boss has given you a raise. What are you going to do with this extra money? Earn More… Spend More…If this is your motto, you better change it. You need to pay off your debt, before you start blowing up your money. Use the extra money to pay off EMI’s on the loans you have availed. You can also pre-pay your home loan and reduce its tenure. You will be surprised how fast your home loan disappears. A credit card charges you interest as high as 30% to 36% a year. A personal loan charges you interest of 14% to 17% a year. Would it not be prudent to avail a personal loan and pay off your credit card dues? You could save on the high interest rates. Debt is like a chain tied to your foot. You just cannot walk unless you get rid of it.